Thanks to its folklore, history, architecture and cultural scene, the Polish city of Krakow is a fascinating place to visit. From dragons to pigeons, trumpeters and students, here are some fun facts about the city and its legends, followed by our top 5 places to visit in Krakow. According to Polish legend, there lived a dragon at the foot of Wawel hill who required regular offerings of livestock, so he didn’t end up eating the local human inhabitants. He was slain either by the sons of King Krakus (the city’s founder), or by a cobbler’s apprentice, depending on who is telling the tale. There is now a statue close to Wawel castle commemorating the legend. Krakow’s entire old town, including Wawel castle, the market square and the Jewish Kazimierz district, was one of the first sites to be added to the UNESCO world heritage list when it was created in 1978. In 2013 Lonely Planet voted Krakow square the best market square in the world. It is also the largest in Europe. The pigeons that flock in the market square also have a legend attached to them. They are said to be the enchanted guards and soldiers of a 13th century Duke who wanted to reunify Poland but didn’t have to funds to travel to Rome to get the blessing of the Pope. He made a pact with a sorceress who said she would help if he travelled alone without his army. When they met in the market square for the Duke’s departure, he saw she was empty handed and ordered his guards to seize her, with a single gesture of the hand she turned his entire army into pigeons, who began to peck at the towers of St Mary’s Basilica, dislodging bits of stone that fell to the ground as pieces of gold. The Duke filled his pockets and set off for Rome but spent all the money on his way on wine and women, arriving in Rome empty handed. Ashamed, he never returned to his native city, and it is said that the pigeons in the market square are his faithful soldiers still awaiting his triumphant return. The University of Krakow was founded in 1364 making it the second oldest university in central Europe; 200,000 out of the 750,000 inhabitants are students, giving the city a vibrant cultural and social scene. Look out for the City’s trumpeter in the Market Square… He sounds his trumpet four times on the hour, every hour, from the highest tower of St Mary’s Basilica. One legend says this is in memory of the trumpet call marking the opening and closing of the city gates back in the 16th century. There’s a knife that hangs from a rope on the wall of the cloth hall in the market square; legend has it that a man killed his brother with a knife when he realised the tower he had built was taller than his own. The knife hangs there as a reminder of humbleness. Located on a hill overlooking a bend in the Vistula river, a short walk from the market square, there is a lot to see here; some say it is a day trip in itself. Until Warsaw took over as the Polish capital in 1596, the castle was the royal residence and the royal crypts are the resting place of kings and presidents. A glorious mix of architectural styles from medieval to renaissance and baroque, there are 5 separate sections to visit (each requiring a separate ticket), including the state rooms, royal apartments, armoury and the permanent exhibitions Lost Wawel and Oriental Art. There is also a cave known as the dragon’s den, lair of the legendary Wawel dragon. The historic Jewish district was destroyed in World War Two and was neglected until after the fall of communism, in part thanks to Steven Spielberg who shot many scenes of his 1993 film Schindler’s list in the area. Since then bohemian cafes and art galleries have sprung up in and around its main square Plac Nowy. The Jewish Culture festival takes place here every year at the end of June and the district has become an important cultural hub in the city. It is an interesting place to wander around, and while a tourist attraction in its own right it is slightly quieter than the bustling streets around the main market square. A tram ride from the old town, if you visit one museum in the city during your stay make it this one. The Oskar Schindler Enamelled Goods Factory re-opened in 2010 as a museum, telling the story of Schindler and the city during Nazi occupation. 14km outside of Krakow, this old salt mine is a fascinating and atmospheric glimpse into the history and geology of the area reaching 300m underground, with vast chambers, underground lakes, and chapels carved from salt. You can visit as part of a 2-hour guided tour. While many tourists might feel uncomfortable visiting the site during their stay in Krakow, those who do make the trip do not regret it. You will be accompanied by a knowledgeable guide during the tour which lasts approximately 3 hours. Everyone should visit. 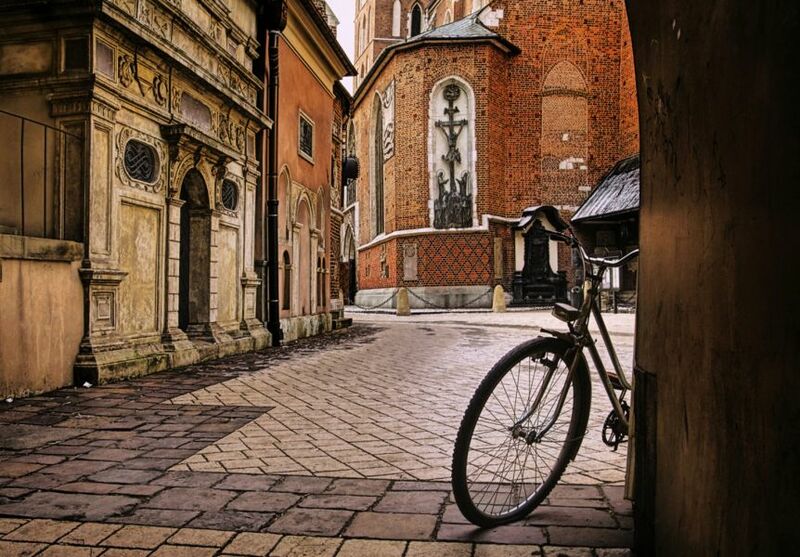 To get the most out of a visit to Krakow, we recommend a stay of at least 3 nights. The old town can easily be navigated on foot and visited in a day, but a trip to Auschwitz will take around 6-7 hours including transfers. Our Cultural break in Krakow includes a guided tour of Auschwitz with transfers. We can also organise guided tours of the city and the salt mines, just contact us for a tailor-made package. You can explore our other European city and cultural break options here.